EDF Renewables plays a leading role in the emergence of this new industry, having gained several years of experience by developing projects in Europe. The mature offshore wind technology makes it possible to install wind turbines on the seabed in large projects that take advantage of strong and steady winds. The development of this competitive industrial sector helps diversify the energy mix and drive economic growth. 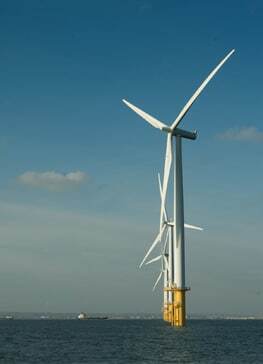 The market has grown considerably since the first offshore wind farms were installed in Northern Europe the early 1990s. In the single year 2016, 1,558 MW of offshore wind capacity was added in Europe, raising total installed capacity to 12,631 MW. Among the major countries developing offshore wind, the UK accounts for about 40.8% of overall installed capacity with 5,156 MW. Germany (4,108 MW) and Denmark (1,271 MW) are the other two countries making up the top three (source: Wind Europe). 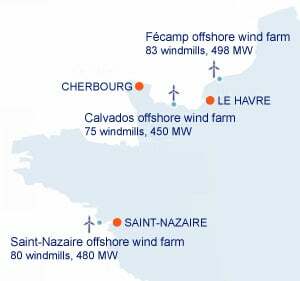 As the winner of the French government’s first offshore wind development call for tender in 2012, EDF Renewables is developing three projects along French coastlines. In 2021, they will supply a population equivalent of more than 2 million with electricity. GE (Alstom), exclusive supplier of the 6 MW turbines employed, has built two factories in Saint Nazaire to manufacture the generators and nacelles and is planning to build a site near Cherbourg to manufacture the towers. Meanwhile there are plans to build foundation production and turbine assembly sites in the ports of Le Havre, Cherbourg and Saint Nazaire as well as operation and maintenance centres. Steadily, in the course of several projects, EDF Renewables has built extensive experience covering the full range of existing technologies and put together dedicated teams. Initial participation in bottom-fixed offshore wind projects involving 54 wind turbines within an international consortium. More information is available on the C-Power website. 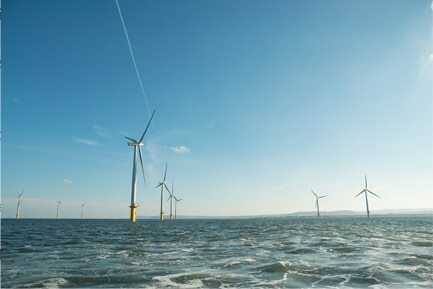 A wind farm with 27 turbines entirely developed, built and operated by EDF Renewables. Onshore test of General Electric 6 MW Haliade-150 wind turbine. An offshore wind farm comprising 5 wind turbines of 8,3 MW each off Newcastle. It will be equipped with innovative gravity foundations, transported by flotation from their construction site.